Refer a friend – get 25% off YOUR next order! Yes that’s right! Refer a friend to my shop and when your she (or he) places an order worth $25 or more (not counting shipping costs) – YOU get 25% off your next order! She (or he) has to mention you – by your Etsy name, so I know who referred them – but really that’s the only complicated part, so be sure to mention it. And remind them they need to order $25 or more. Come on, that’s not hard to do! 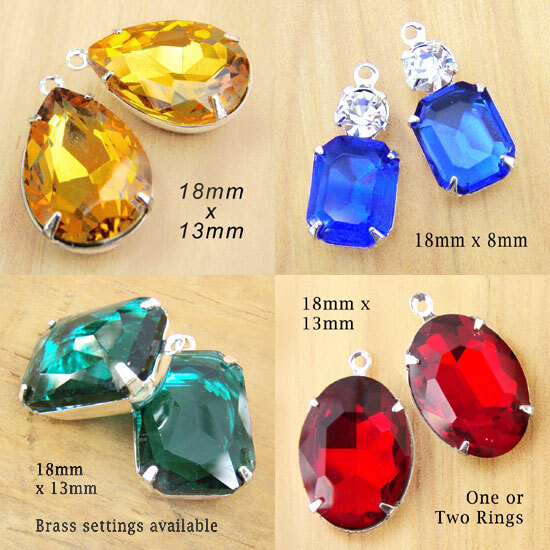 For $25 you can get several pairs of earring jewels, or pendants, or a combination. Or enough rhinestone jewels to make earrings for all your bridesmaids. Or for your besties at your class reunion!